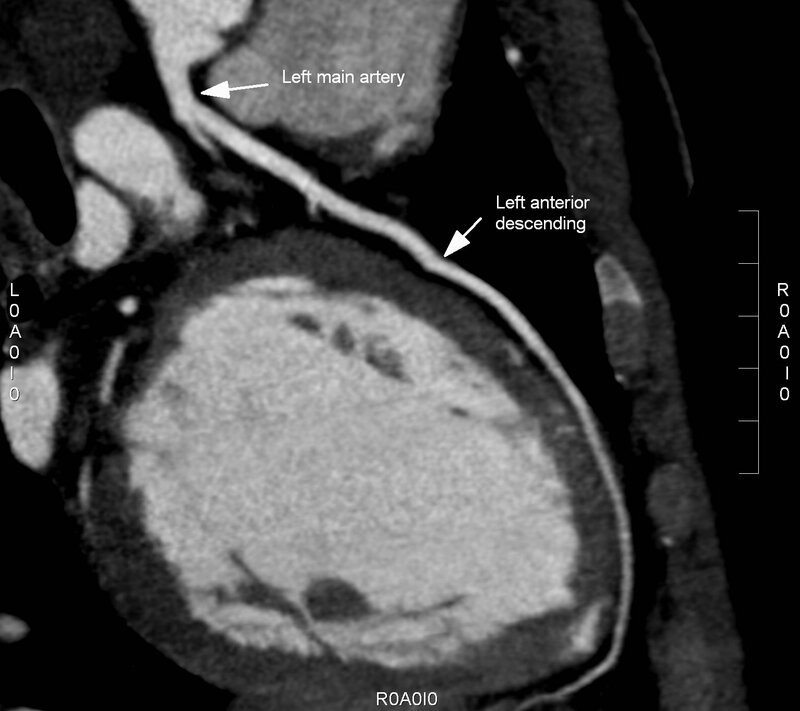 Image 1a, 1b, and 1c (CT Coronary Angiogram): Angiogram demonstrating a patent left main, left anterior descending, left circumflex and right coronary arteries. 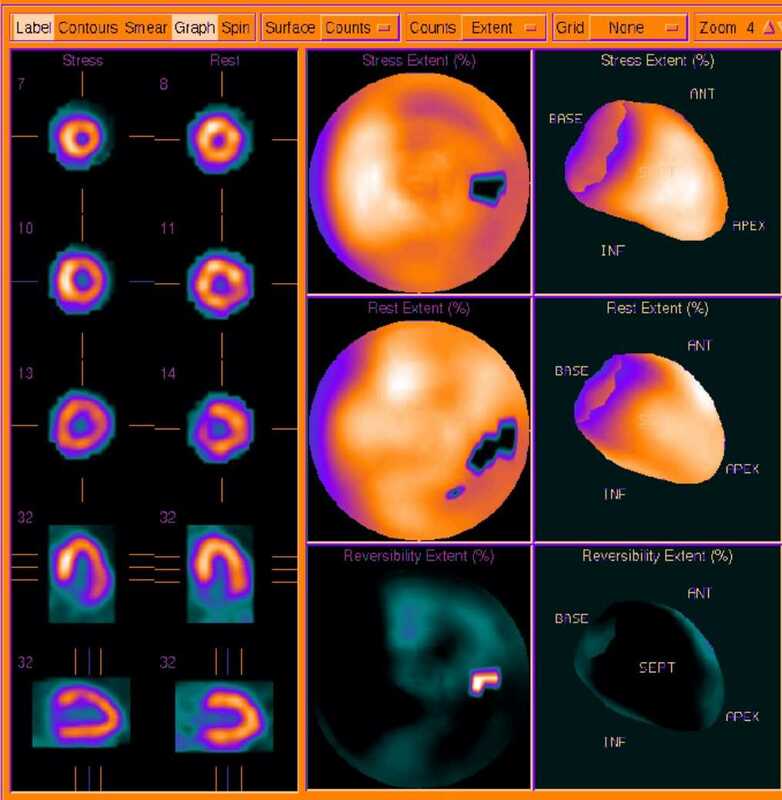 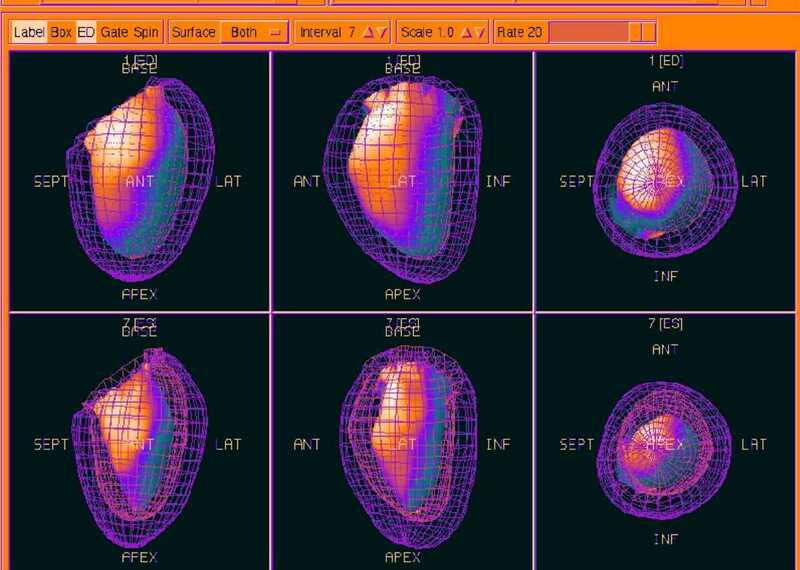 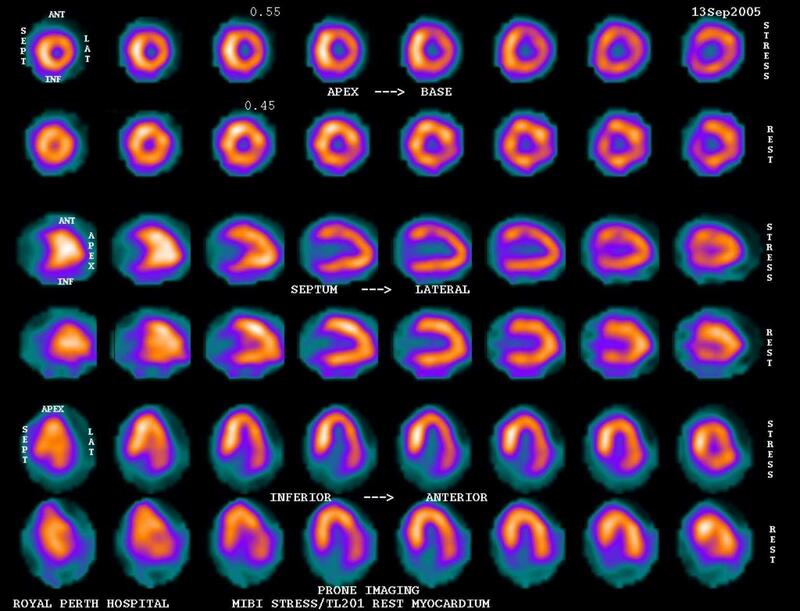 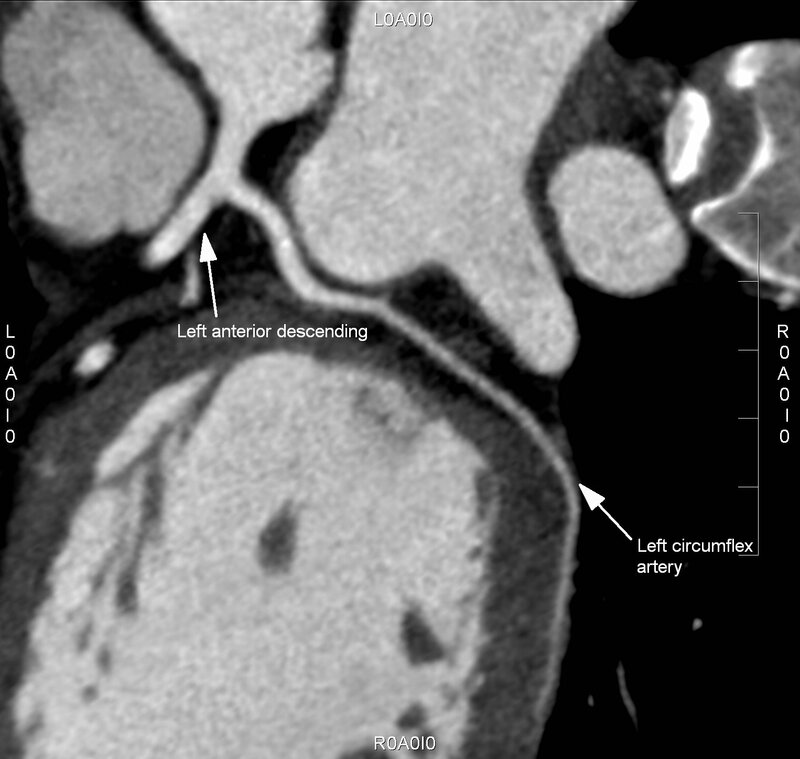 Image 2a, 2b, and 2c (Acute Resting Thallium and Stress MIBI): A small basolateral abnormality is present likely representing a previous infarction. 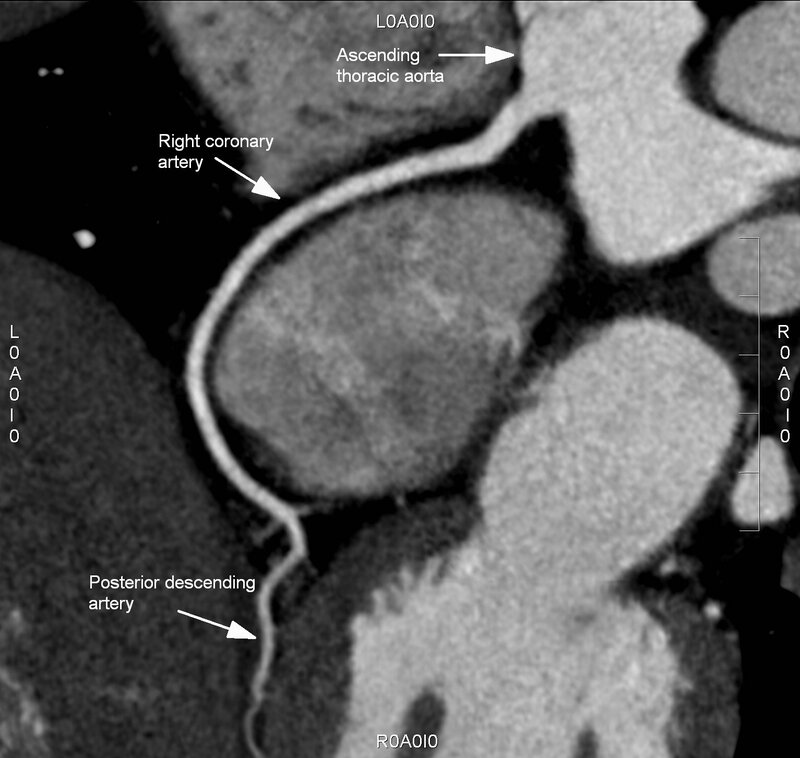 A moderate-severe area of Dipyridamole-induced reversibility in the anterior and lateral wall also suggests significant proximal coronary artery disease.